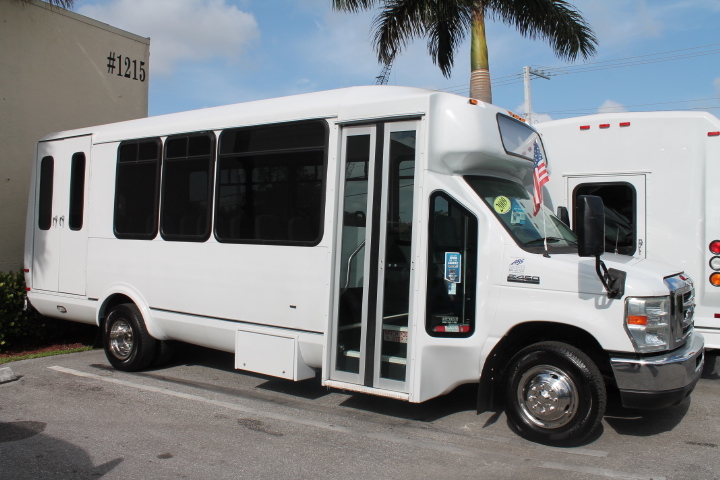 Buying new buses often becomes mandatory in multiple situations. Perhaps you need to start a fleet or add more vehicles to it. Then again, maybe you are simply purchasing a luxury bus to transport yourself, your friends, or your co-workers around. Of course there are plenty of reasons to buy a luxury bus, and we really cannot go into all of them here. The bottom line however, is that you are not buying a car or a simply product. You are buying a bus, and you need to make sure that it is going to stand the test of time. Krystal bus has joined forces with some of the most popular and efficient manufacturers on the market: El Dorado National-Kansas. With names like this working in collaboration with one another, could you really expect anything less than the best? We certainly do not think so. Krystal began its production in 1996 with the goal of creating the best looking, highest quality luxury bus on the market. Krystal has met and exceeded that goal many times over, but the word luxury tends to scare many potential customers away because they associate it with low quality. It is true that some manufacturers will dump more money and though into luxury than functionality, but Krystal and its partners have worked together to furnish consumers with an acceptable solution and a balance between the two paradigms. Krystal’s commitment to excellence extends to the testing floor where they personally examine every single bus they create against some of the most rigorous testing standards in the industry. This ensures that they are not only durable, but safe. Could you really ask for more? Actually, you could ask for some of the best replacement bus parts in the industry, to start. These are just a small sampling of the parts you might need and it applies to International bus parts as well as Thomas bus parts. Finding the best replacement parts will involve not only shopping at the right places, but also making sure that you have the advice of experts on your side as you look through even the best Krystal bus parts warehouse. It’s time to stop worrying about where your next batch of parts is going to come from and take solace in the fact that we have the best interest of both you and your fleet at heart. Maintaining luxury buses isn’t easy, especially when you cannot simply go to your local auto parts store for help. Let us lead the way and let us ensure that your fleet has all the parts it requires to remain functional for the foreseeable future.